Ondetto is a web design, development and digital marketing agency based in Geelong. Ondetto started in 2011 and has served over 100 clients since. While most of our clients are in the Geelong area, we also have many clients in Melbourne, King Island and further afield. We are passionate about helping businesses succeed on the Internet by designing and developing effective websites and helping optimise these for search engines. Being a small and down-to-earth agency, we are able to keep overheads low and costs affordable for our clients while delivering a highly professional service built on years of experience in the industry. 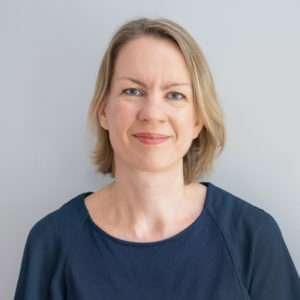 Ondetto’s owner, Frederike Moodie has a business degree and spent several years working as digital marketing manager for various companies in the UK including Bosch, Register.com and Corel. After moving to Australia in 2011, she set up Ondetto to apply her experience to small businesses needing help with their online presence. Over the past 8 years, she has built over 100 websites using content management systems such as WordPress and Joomla. She is proficient in website strategy, setup, template development and SEO. Frederike loves working on new websites and gets real satisfaction out of seeing clients succeed on the internet. We work with a select number of graphic designers, copywriters, photographers, social media experts and developers who help us deliver professional results for our clients. Most are locally based and have worked with us for several years. This allows us to access expertise when needed and provide better results for our clients without the overheads of having an office and permanent staff. Ondetto donates about 1.5% of its profits to Plan International. Plan is a children’s charity working in developing countries to improve education, sanitation, food supply and provide emergency relief. We have travelled extensively in developing countries in Asia, India, South America and the Middle East, seeing first hand the challenges people face in providing a future for their children. Plan is a fantastic organisation and we are glad to support them as much as we can. Why the name – “Ondetto”? “Ondeto” means “ripple” or “small wave” in Esperanto, a made-up language that was supposed to become the only language the world needed to communicate. It didn’t quite work out that way, but it did provide inspiration for our business name. The name Ondetto alludes both to the Ripple Effect of small things having a big impact, and to our proximity to the water as we do love the beach.